Are you conscious about the extra plastic you get every time you make an online order? Ever wondered how your Stella Beauty order will arrive? 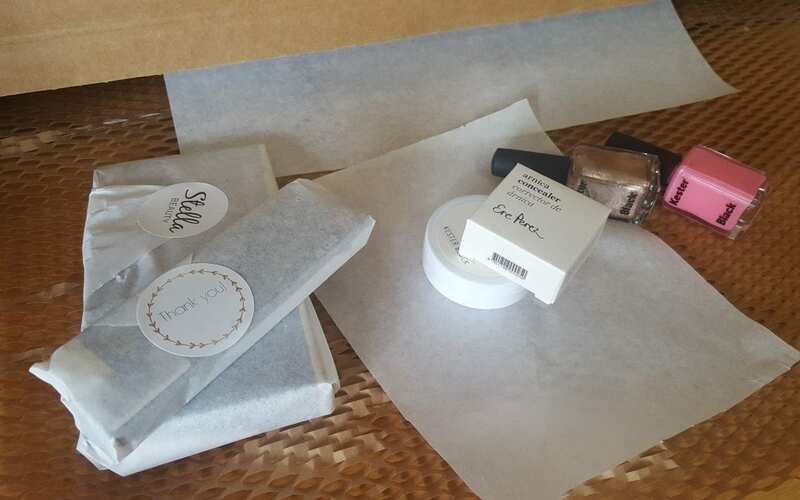 I can tell you that our aim at Stella Beauty is to be plastic-free when packaging your order. We’ve teamed up with R3 Pack NZ and Go Sweet Spot for a more eco-friendly and efficient courier service. Go sweet Spot provide wonderful compostable courier eco-bags which are made from corn starch! “The bags are certified by all three industry certifiers; Vincotte, BPI, and Dincerto, meeting American, European, International and Australian standards – including certifications for your domestic home compost. To gain these certifications, the product must break down within 90 days in commercial compost and 180 days in domestic compost conditions, including worm farm compost. After degradation, they must leave no harmful residues behind. In fact, the only residue left behind is a soil enhancer which is returned to the earth as plant food. Although there is no higher standard, our own tests show that, in quality compost, the bags will decompose at twice the rate required.” (Go Sweet Spot). If you are unable to compost them at home, they will break down within 2 years of being at a landfill. This is amazing when compared to plastic that can take up to 10,000 years to decompose! Many products claim to be 100% degradable, however, this means they still may take 1000’s of years to break down and can still leave residual microplastics. The plastic-free eco-bags are derived from biopolymers and co-polymer; PBAT (polybutylene adipate terephthalate), Corn-starch and PLA (polylactic acid). Go Sweet Spot use the highest-grade blend of the three materials. This results in the bags not only decomposing in compost faster than other compostable products on the market, but also create a stronger bag that won’t snap under pressures or rip with sharp corners – they simply stretch. 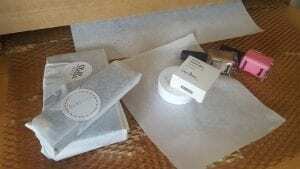 Instead of plastic bubble wrap, we use plastic-free Geami Wrap Pack. The tissue paper and brown craft die-cut roll are naturally biodegradable and compostable, recyclable and made from sustainable forests. The brown craft die-cut roll provides cushioning for more fragile items without the need for unnecessary plastic bubble wrap. There you have it. If you have any suggestions on how we can improve our packaging, let us know! You may also be interested in shopping for our ‘Plastic Free’ category. Products n this category contain no, or very little plastic.